Here’s what some publishers would call a nightmare: How to print and distribute 500 copies of a human rights booklet—in Norwegian. While handling 25,000 copies of an anti-drug-abuse publication in French that must be printed, packed and shipped in a matter of hours. Oh, don’t forget another 4,000 copies of a booklet that includes inserting a DVD. There’s also that magazine editor calling to see if his last issue, 100,000 copies, is on the press. And more. All on a single day. Every day. The Church of Scientology—as its operations have expanded worldwide—had to regularly manage just those sort of scenarios. The demands from Church organizations—from small Missions to continental headquarters, not to mention dozens of affiliated groups—were staggering. 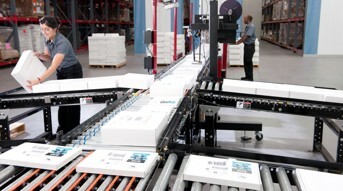 The solution was the 185,000-square-foot International Dissemination and Distribution Center, in Commerce, California, designed bottom up to be the most technologically advanced printing and shipping plant in the world. The massive California facility produces everything from booklets and magazines to videos, posters and more, all in-house and virtually around-the-clock. It is the vast hub that provides multimedia resources for the Church’s worldwide initiatives on human rights, drug education and other vital issues. The 120-ton web press in the International Dissemination & Distribution Center has the capacity to print 55,000 pages per hour, making it possible to provide all of the materials for Church-supported humanitarian programs. The facility houses a mailing department that can address 150,000 pieces every eight hours and ship 500,000 boxes and items per week. Opened in 2011, the center is an all-digital, state-of-the-art printing plant combined with one of the world’s largest printing and shipping facilities. Walking the length of the place, a visitor can easily find himself discovering innovative new technology—and continuing to walk—15 minutes after starting the journey. 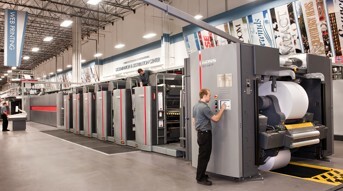 The operation is anchored by a custom-built, 121-ton web press capable of printing materials in 16 languages and at a rate of 55,000 pages per hour. That is a staggering 15-plus pages every second. The center also has the fully automated capacity to address 150,000 pieces every eight hours and to package and ship 500,000 items weekly. Moreover, the web press can switch print jobs from one language to another even in the midst of operation. 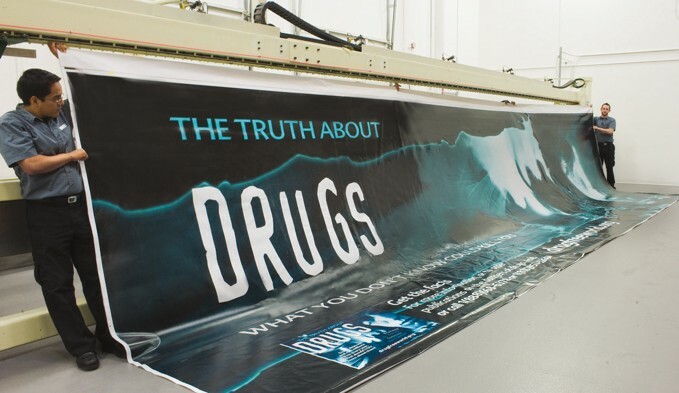 The Center produces banners, booklets and educational materials to meet the demands for the Truth About drugs program and other humanitarian endeavors. In this case, necessity proved the mother of invention. With the need for Scientology materials having skyrocketed with the accelerating growth of the religion, the Church had surpassed the volume limits and time constraints of any conventional printing house. Creating a plant that would allow it to control the printing schedule, costs and quality in-house was the only option that made sense. 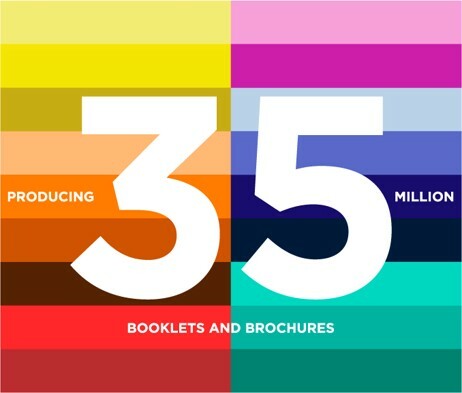 For the same cost as producing 3.5 million copies of The Truth About Drugs education booklets at an outside printer, the center can print 35 million. So it was goodbye, outsourcing; hello, self-sufficiency. 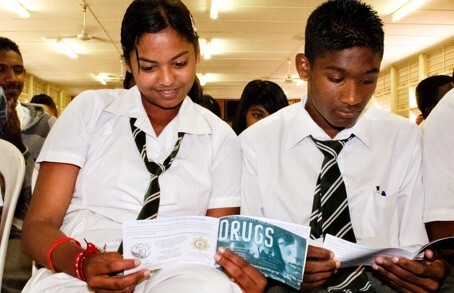 The educational materials produced at the center reach millions worldwide with the Truth About Drugs and other programs. Located 15 minutes from downtown Los Angeles and staffed by Church members trained from scratch by experienced pros, the plant is notable for spotless cleanliness and seamless efficiency. 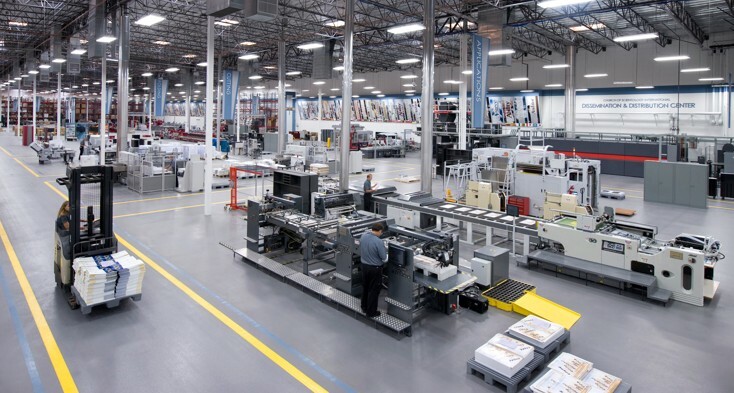 The Dissemination and Distribution Center features giant web and sheet-fed presses, a bindery, sign and banner production, and even an area dedicated to custom, insignia-emblazoned garment manufacturing. That’s not to mention all of the equipment producing millions of magazines, manuals, brochures, DVDs and assorted paper materials.